Need more apps for your favorite device? iOSnoops can help! 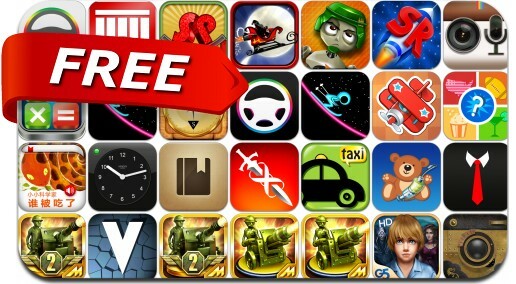 Here are 31 iPhone and iPad apps that have just gone free. This apps gone free alert includes Infinity Blade, Help Me Fly, SimpleRockets, Calculator Easy, Compass, Voro, Tie Right, SimplePhysics, Alarm Clock, Ski On Neon, ClipBook, Lost Souls: Enchanted Paintings and many others. SimpleRockets is free today for my reddit cakeday. Be sure to check out my other games too, they are all free! SimplePhysics and Dummy Defense are great too! Design your own rocket ships. Blast off into space. Explore the solar system. See if you have what it takes to be a rocket scientist. CREATE Choose and connect parts together to build rocket ships…. InstaVoice™ – Use your Camera + Voice!